Here at WhatShed, we think it is great that more parents are encouraging their kids to put down the Playstation controller and turn off YouTube so they can go outside and play. 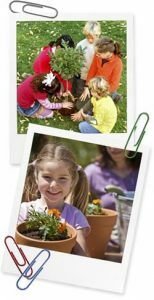 Well if you want to do fun gardening with the kids or just get a few cool ideas, then you will love these top blogs that are all about helping your child develop a love for nature, gardening and the outdoors in general. Now here is a cool blog from mother of two, Kate. Kate loves to get outdoors and do fun things with the kids be it going to the beach or on a camping adventure. You will love her stories and she looks on the funny side of parenting which is refreshing. As well as telling you (and inspiring you) about her own family adventures, Kate also has some interesting parenting blogs such as ones about how to deal with it when the kids are driving you nuts! There is also some awesome arts and crafts posts on this blog such as one where she shows you how and your kids can make your very own Captain America shield. This is a great blog for any parent out there. 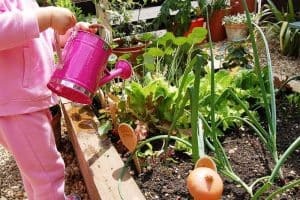 Getting kids to stop playing Super Mario and come outside to grow some carrots is one heck of a challenge, but Gardening With Children gives you tips and ideas to make it happen! This is a truly awesome blog as it is all about getting your kids off the couch and stretching their green fingers to make things like raspberries and apples. 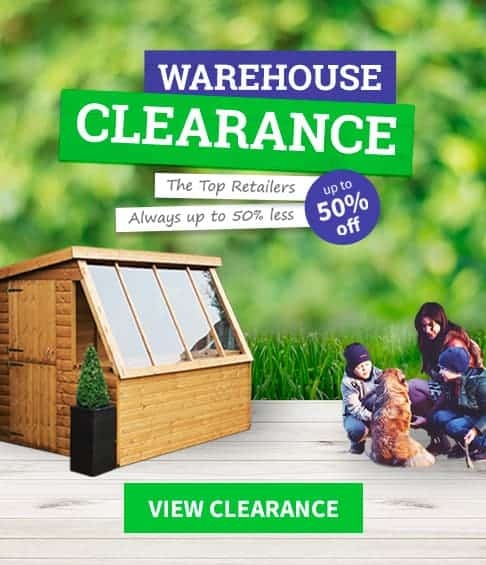 We really like how they have ideas for all seasons so even if the weather is terrible, you will get some great ideas from this blog. Growing the food is only part of the fun, as this blog will give you some fantastic recipes that use the actual food you will be growing. There are also some great arts and crafts posts such as the lost art of making mud pies! 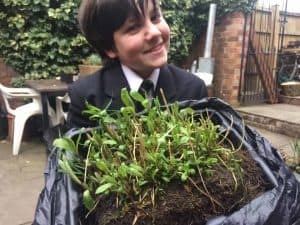 We know that some kids will think gardening is just for old folk, but Green Fingered George is a blog by a teenage gardening enthusiast called George. He has won numerous awards, met the queen and even been on TV! This is a sure fire way to show your kids that gardening can be pretty cool. With this blog, you could easily just let your kids browse it by themselves and let them find something they find interesting. As well as gardening, one of the things kids will love about this is the wildlife. George has some great tips for attracting wildlife and we are not talking leaving crisps all over the garden to attract rats like your kids usually do! The Growing Family Blog is brought to us by mum of two, Catharine Hughes. We had a lot of fun with this blog and found her sense of humour something that will appeal to many of you other parents out there. This is one of the most popular blogs on this list and it is full of all kinds of tremendous tips for things that you can do outdoors with the kids. One of the best things about The Growing Family Blog is the advice Catharine gives other parents in regards to getting the kids interested in gardening. Catharine suggests that rather than just giving the kids random jobs to do, that you give them their very own little patch in the garden then task them with taking care of it. 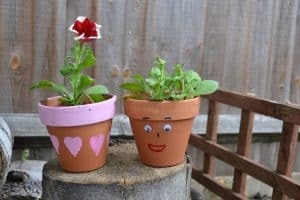 This is a very smart idea and something to consider if your kids are not all that enthusiastic about gardening. Lynda is the proud owner of Kids In The Garden and she makes the great point that the garden is a child’s first taste of the outdoors. She has a ton of great ideas for getting the kids outside and playing in the outdoors. 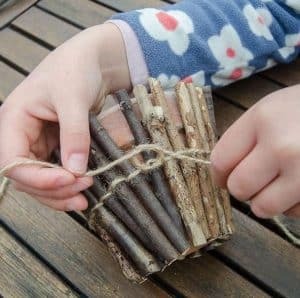 While there are some fantastic gardening tips and ideas for kids on this blog, we really like the way that Lynda has some other ideas such as building a wigwam for kids who are not too keen on gardening. 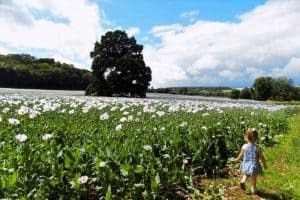 This is just a very fun and well written blog that is just chock full of great ideas and advice that will help you get your child interested in the outdoors, gardening and nature. Before blogger, Dawn Isaac, was a mother, she was winner of a medal at the Chelsea Flower Show! 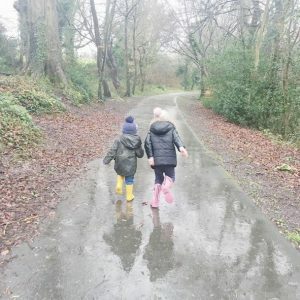 Now with three children at home she has shared her love of the garden with them and this blog is awesome as it chronicles that journey. 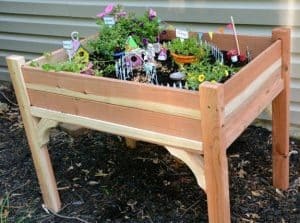 What we love about Little Green Fingers is the way that Dawn clearly knows for some parents it is really hard getting the kids to want to garden. But she has some easy and fun ideas that will make the kids very excited about growing their own food. Dawn has a ton of fantastic posts ranging from growing things like potatoes to making a really nice windowsill garden. If you are struggling for ideas and fun things for the kids to do, then this blog is really going to help you out. This is a pretty spectacular blog and one of the very best reads on this list. Do Try This At Home is the story of the Meek family, which is led by parents Kerry and Tim. They decided that they wanted their kids to see the world and this blog is the story of all the fun family adventures that they and their kids, Ella and Amy, have been on. We think that the lifestyle the Meeks have adopted where they are really in tune with nature is pretty cool and serves as a great inspiration for the rest of us. Even if packing up and going travelling is not for you, you can still find some amazing ideas for you and your own family on this blog. Alice and Luci are two cool mums from London and their blog Mums Make Lists is an absolute riot. This is all about having fun and we love the sense of humour that this blog has. You will find yourself relating to and laughing at many of the stories that are on this blog. It has a very “real” kind of feel to it and that is why the blog has become so popular. It is well written and features charming and funny stories. There are a lot of great ideas here such as fun ways to get the kids excited about growing their own food. There are even some great advice blogs as well, such as the hilarious how to win at conkers post. While you can get some good advice and great ideas here, Mums Make Lists is just a really fun read and one we highly recommend. New Young Mum is a blog from Alice. Alice is one of the younger mums on this list and we think that her blog is just awesome. Alice knows that the garden is a place of wonder for a kid and her blog posts really express this. She is a fantastic writer and we really love the enthusiasm that each of her blog posts have. It is impossible not to relate to Alice, even if you are an older parent with older kids who drive you crazy. As Alice’s daughter, Amelia, is only young many of the ideas here are all about having fun – tea parties and hide and seek are a couple of the highlights. As well as this, though, there are some great blog posts such as the top ten things to do in the garden. Alice is looking forward to getting Amelia involved in gardening and we cannot wait to read about it. Kierna Corr is a nursery teacher, so right away you know that she has a ton of great ideas for keeping kids busy, happy and from killing each other! 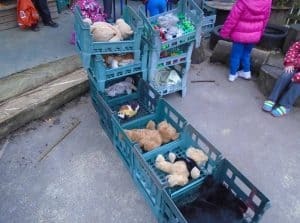 We loved this blog and it was great to see so many interesting ideas. 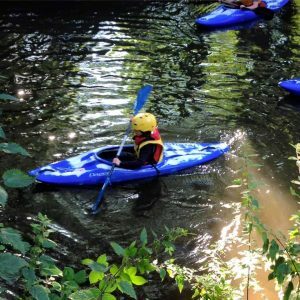 You can clearly tell that Kierna is a very creative person and the ideas that she comes up with for getting the kids to have fun outdoors and just showing an interest in nature are just brilliant. Kierna knows how bad our UK weather is, so we love how she has ideas for outdoor play no matter what the weather is. 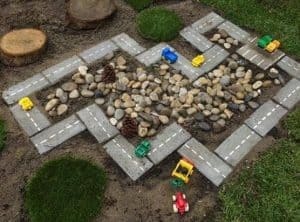 If you already have kids who like to play outside, but are looking for new ideas, ideas that are a little outside the box, then the Learning For Life blog is for you. Oh So Amelia is a very fun blog from mother of two, Kerry. What is very interesting about this blog is that Kerry straight up tells you gardening was something she hated as kid. She did not want this for her own kids, though, so set about making sure they found the outdoors as fun as possible. We loved her top five things for the kids to do in the garden as there were some great ideas on here, many of which will result in your kids being caked in mud, but that is all part of the fun. One post in particular that caught our attention was the one about transforming a boring old shed into an outdoor playroom for the kids. This is a great way to ease the kids into the idea of playing outside. Anna who created The Imagination Tree blog is a mother of four, so she certainly has her hands full! But she also has one of the most incredible blogs we have seen. Anna really wanted her kids to love playing outside and the way that she made this happen really is quite remarkable. She turned her garden into a kids wonderland. There is a habitat for mini beasts, a fairy garden, dinosaur garden and even an outdoor kitchen. There are a ton of things to do here and she really has inspired her kids to love the outdoors. While it is a lot of fun just reading about Anna and her fun times with the kids, she also shares with you a whole load of tips. As well as this, she gives instructions on how you can turn your garden into an outdoor paradise for your own kids. Chris who runs the Thinly Spread blog is one of the most creative ladies we have come across. 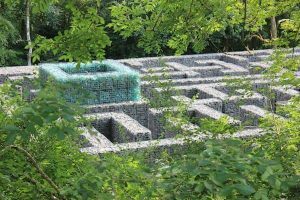 From making bird feeders and plant pots out of old juice boxes to all kinds of other awesome arts and crafts ideas, Chris really is one very impressive and creative lady. We really like how Chris shares a ton of great ideas for not just getting the kids outside the house, but for you to actually play and have fun with them. If you have little girls who love Tinkerbell and fairies in general, then you will have a ton of fun making adorable little fairy houses that can go at the bottom of your garden. Not too great at arts and crafts? Well do not worry, as she gives detailed instructions. 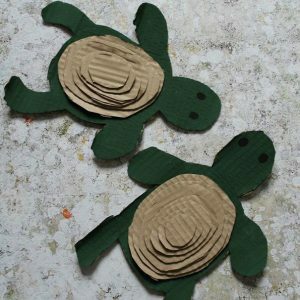 Here is a very inspirational blog that is sure to inspire your kids into taking an interest in nature and the outdoors. 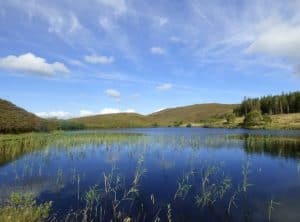 Young Fermanagh Naturalist is a blog from 12 year old Dara McAnulty who is from Northern Ireland. He is all about conservation and wildlife and this blog is him sharing that with the world and we think it is great. Dara has an enthusiasm for nature be it birds or a hulking big elephant called Hawk Moth that is hard to not smile over. If you have kids who have even the slightest interest in nature then they are going to love this blog. Dara also has some great advice for kids who are not feeling all that happy about having to go back to school, as he offers tips that will get them outside to fight off those back to school blues.